Christmas time is upon us again and soon the big day itself will come around. Each year you might find yourself anew before the choice of getting either a real or an artificial Christmas tree, or you might consider getting a real tree for the very first time. Each of these options have their pros and cons though, and it is good to be aware of it all when making your final decision. Christmas tree came to South Africa with colonisation, and have since been adopted into the mainstream culture. Artificial Christmas trees have been a part of the seasonal culture in the country for a long time, and mostly the preferred version. However, lately people are returning to the roots of the tradition (excuse the wordplay), and opting for all-natural, honest-to-goodness trees. 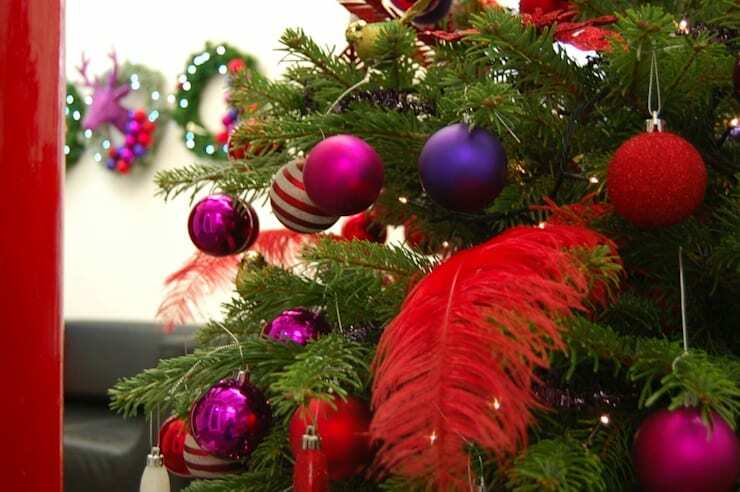 Today on homify we will take a look at the benefits and disadvantages of both artificial and real Christmas trees, in order for you to make an informed choice this festive season. Appearance is usually a matter of personal taste, and the benefits and disadvantages of our two choices become a bit subjective here. 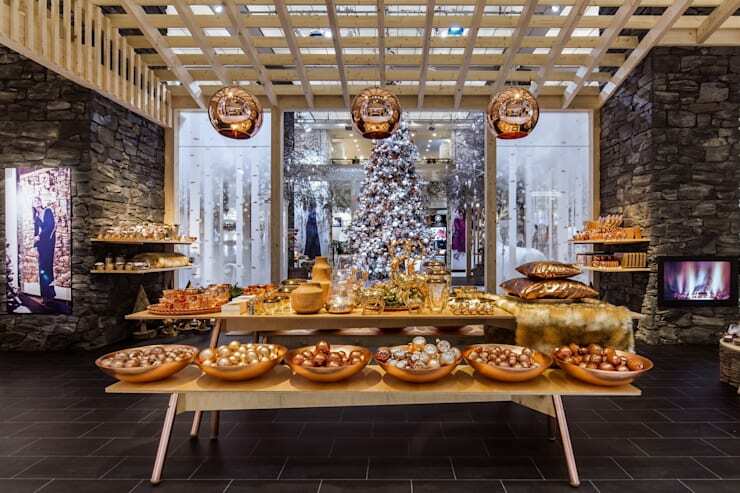 However, most people will agree that nothing really compares to the look and feel of a real pine tree decorated with Christmas trinkets in the living room. 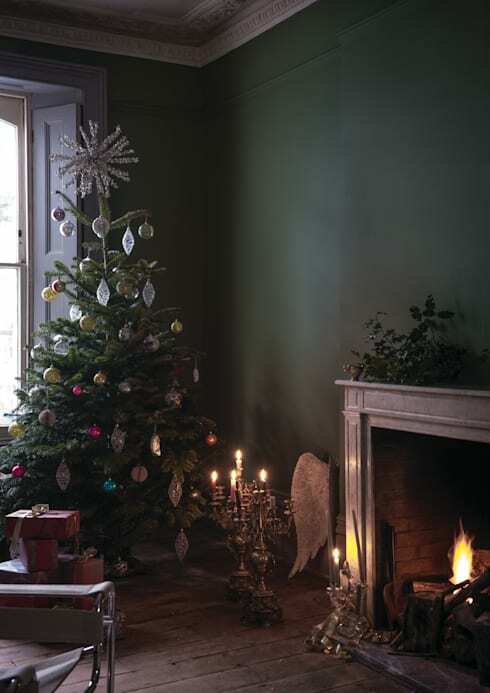 Call it tradition or sentimentality, but a real tree will always look better on Christmas. Depending once again on the quality of the tree you have chosen, though, a real tree might deteriorate before its display time is over and start to look droopy and sad. 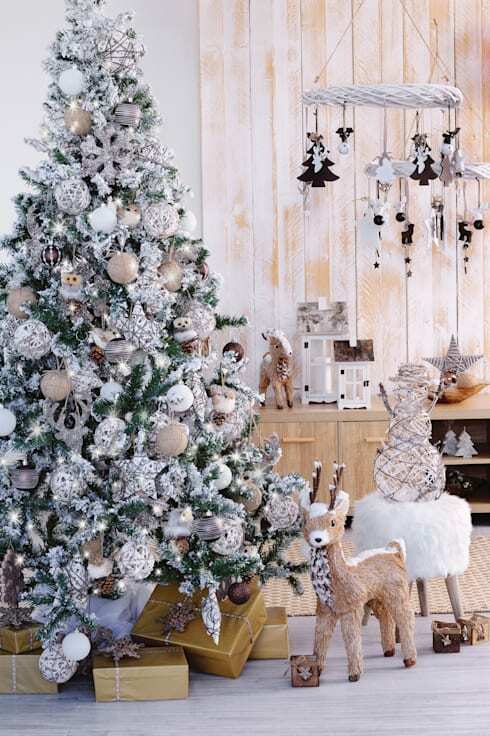 Artificial trees, on the other hand, will not falter in its appearance, and these days you get many high-quality products that look very close to the real thing. This is naturally most people's first consideration when it comes to the real vs. fake tree debate. A real Christmas tree will most certainly last much longer than a fake one. Depending on the quality of the real tree that you have chosen, it might be more than sufficient to last you for the entire Christmas season and still look good. But, after that, it's to the landfill or compost heap. Artificial trees, on the other hand, can be kept for many seasons, and should remain in mostly the same condition with little to no deterioration. It is possible to keep a fake Christmas tree for many years, even decades. When it comes to the mess that your Christmas tree will make, it is common knowledge that an artificial tree will be much less effort than a real one. A real tree will shed needles incessantly, might drag in mud or dirt, will have many little organic particles lodged between the branches and ready to be strewn across your floor, and may even attract various different insects into your home. This can be a big problem to deal with which may seem a bit too much over the festive season. Also watch out for poor-quality artificial trees, though, as they can shed just of much of their imitation pine needles when shaken or stirred. Artificial trees have been favoured in the country, as in others, for decades due to the benefit of cost-effectiveness. When it comes to buying a Christmas tree, on which will last you several seasons will naturally be more compatible with a tight budget. The investment value of an artificial tree compared to the annual expense of buying a real tree leaves the latter in the dust. Furthermore, artificial trees require little to no maintenance, and consequently, little to no maintenance costs will be involved. Real Christmas trees, on the other hand, can be quite expensive. Although South Africa play host to a large array of coniferous tree species, the traditional pine tree used for Christmas trees is an invader in the country. This means that they are not indigenous, and should you want a true pine for your Christmas tree, you will have to go to a lot of trouble. This is not ideal. You can, however, ask a professional what kind of indigenous alternative would be preferable. Artificial trees do not need to be watered, they will not strew pine needles across the entire floor that will have to be cleaned up at some point, and you will not have to figure out a transportation method from whichever farm the tree has been grown, to your home. When it comes to maintenance, it is a no-brainer, artificial will always be a lot less work than getting in the real thing. The question is then rather what amount of work and effort is acceptable in relation to the perceived benefits of a real tree? It is up to you to decide after you have looked at all of these pros and cons. The Christmas tree stand can provide an additional dilemma when it comes to acquiring a real tree for your home this holiday season. Whilst artificial trees come with stands that are particularly designed to support the tree and are usually easy to install, nature did not provide in the eventuality of trees being cut down and needing to be propped up inside of homes. This has the implication that you will have to fashion a stand for a real tree yourself to ensure that it stays upright and secure. Many producers of Christmas trees and those who sell them have looked into this problem and do sometimes offer ready-made stands which you can adapt for your chosen tree, so make sure to inquire whether this is available at your local tree grower. Most artificial trees in contemporary times are made with metal and polyvinyl chloride (PVC). This is not the most environmentally-friendly product at all, since it is entirely non-biodegradable but it may hold dangers for your family and pets as well. Some varieties of these materials may contain lead, which is used in the manufacturing process to stabilise the combination of materials. In growing real Christmas trees, farmers often use pesticides, several fertilisers, and herbicides throughout the tree's life span. These could be detrimental to the health of children and pets, but fortunately, there are farmers who grow trees organically with the use of integrated pest management methods instead of harmful chemicals. If the tree debate has got you in the Christmas spirit, take a look at these: 6 Great DIY Christmas Ideas! So the choice of which tree to choose is up to you - what will it be?